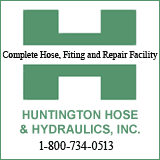 The City of Huntington appears on track to complete the 2017-2018 fiscal year with a surplus near of exceeding the approximately $734,500 surplus of the 2016-2017 fiscal year, according to Kathy Moore, finance director. Ms. Moore provided the forecast during the administration and finance committee meeting prior to the July 9 council meeting. As of May 31, which is 91% of the fiscal year, the city had an approximately $955,000 surplus based on $4.06 million in budget expenses and $4.97 million in revenue. Moore added that sanitation and trash revenue collection has increased by $370,000. The finance director emphasized that the department has during this fiscal year caught up four police and fire department pension payments, had a rare "finding free" state audit, and the city's Standard and Poor rating improved to "stable." During the council meeting, Phase 2 of the Skatepark through CDBG funding passed council, as did a numbering system for resolutions and ordinances that come before council for a vote, and a little over $44,300 for emergency equipment installation in five new police cars. The cars and other specialized equipment for those cars will come before the next session of council. All items are part of the current fiscal year's budget.